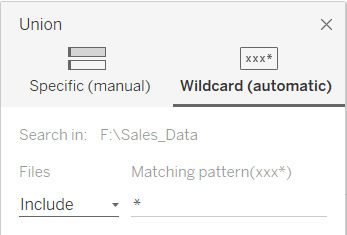 In a previous post, we discussed about enabling drag and drop execution for Tableau Prep flows, but what if you can run the flow from any folder by simply right clicking and selecting “Run Flow” ? This is done using a simple registry trick. Save the below lines in to a .REG file and run it. Windows Registry Editor Version 5.00 [HKEY_CLASSES_ROOT\SystemFileAssociations\.tfl\shell\FlowRunner] @="Run Flow" "Icon"="%SystemRoot%\\System32\\shell32.dll,137" [HKEY_CLASSES_ROOT\SystemFileAssociations\.tfl\shell\FlowRunner\command] @="C:\\Automation\\FlowRunner.BAT \"%1\""
Note: Remember to change ‘C:\\Automation\\FlowRunner.BAT’ to match the full path of your FlowRunner.BAT file. You might get a warning from windows, just accept it. You can always undo this changes by simply deleting above registry keys. That’s it. Now you should have a ‘Run Flow’ option for any .tfl file.